Protecting your capital equipment investment guarantees the optimal performance and efficiency of your water system, and ultimately keeps your business running. But how do you protect your capital assets? Inspections and repairs are a good start, but they are not enough. Only a comprehensive, proactive monitoring system can prevent unscheduled downtime, safeguard the health and safety of your employees, and allow you to detect and respond to events before a shutdown occurs. As your water management consultant, Earthwise is in a unique position to customize a solution that provides 24/7 control and monitoring of your plant. We choose the system that’s right for your specific boiler, cooling tower and/or wastewater applications. Our solution offers real-time performance monitoring with notifications of events and issues as they happen — and before they lead to bigger issues or even a shutdown. Process control allows you to regulate and monitor your chemical feed, so you can rapidly detect and respond to contamination before it pollutes your process and damages your equipment. 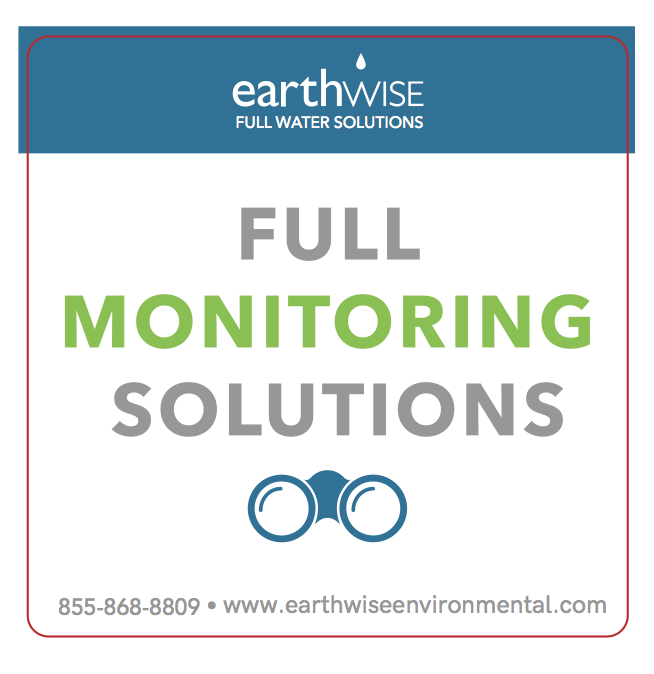 Earthwise Environmental works closely with you to implement and install a water treatment monitoring system in your plant. In-line sensors and controllers monitor and regulate your water treatment process, while utilizing telemetry to provide data for analysis. Now you can diagnose and correct inefficiencies, control and monitor your water usage, and generally keep informed about the real-time status of your equipment — any time, from anywhere. Earthwise also provides on-site training to ensure that your users are fully comfortable with your program, without the time and expense of travel. WHY HIRE EARTHWISE ENVIRONMENTAL AS YOUR WATER MANAGEMENT CONSULTANT? Earthwise Environmental has led the field of sustainable industrial water management for more than 20 years. We partner with leaders in industrial water safety, hygiene and environmental services to develop innovative and sustainable water solutions using cutting-edge technologies for improved energy efficiency and up-to-date industry and government compliance. With three Certified Water Technologists on staff, and staff members who belong to numerous professional organizations such as ASHRAE, U.S. Green Building Council (USGBC), Healthcare Financial Management Association, and others, we are up to date on all the trends and regulations in water quality monitoring. This enables us to provide you the most effective solutions to ensure optimal safety, sustainability and cost efficiency for your plant.